Buffy vs Faith. . HD Wallpaper and background images in the Buffy vs Faith club tagged: slayers buffy the vampire slayer sarah michelle gellar faith buffy vs fight eliza dushku. 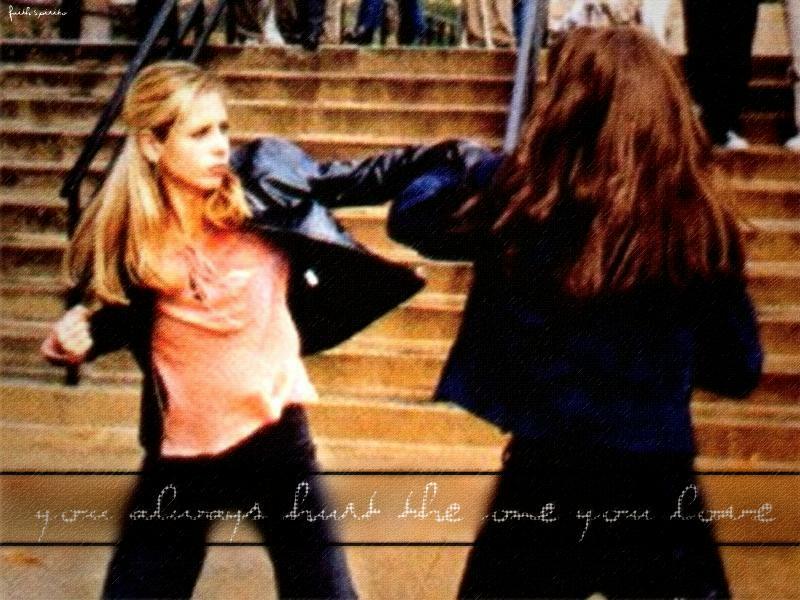 This Buffy vs Faith wallpaper might contain hip boot and thigh boot.